In 2004 the Tasmanian Forests Minister labelled Richard Flanagan an ‘author-turned propagandist’. 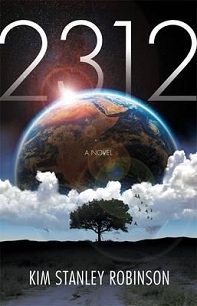 Certainly Flanagan is outspoken on many social and environmental issues and he does consciously and deliberately use his writing to raise their profile. Nevertheless, Flanagan’s writing cannot be considered propaganda. To the ordinary person propaganda is associated with deliberately false or misleading information. Flanagan has a high profile in the Tasmanian arts community based on his successful novels and newspaper or magazine articles. Accordingly he is regularly invited to speak publicly on many issues. Flanagan has a self confessed love for the landscape, environment and history of Tasmania and he has infused this into his novels and much of his other writing. What is Flanagan being accused of when described as a propagandist? Although the Oxford dictionary defines propaganda as ‘ideas or rumours deliberately spread to help or harm a group, movement or institution’, no consensus has been reached on a definition ‘in eighty years of propaganda scholarship (Cone 2003)’. The use of propaganda to mislead populations over the last century – in wartime and by religious or political groups – has resulted in it becoming synonymous with ‘lies, deceit, and brainwashing (Welch 1999)’. Therefore when Flanagan is labelled as a propagandist, this can only be interpreted as an accusation of writing deliberately misleading articles or at best withholding important information to support his own agenda. In opposition to these accusations Richard Flanagan is well respected by most sections of the Tasmanian community. His first three novels each received several literary awards and were all short-listed for the Miles-Franklin Award. In the Miles-Franklin his first novel ‘The Death of a River Guide’ was beaten by Demidenko’s controversial novel ‘The Hand That Signed the Paper’. His second and third novels, ‘The Sound of One Hand Clapping’ and ‘Gould’s Book of Fish’ were placed, respectively, behind Peter Carey’s ‘Jack Maggs’ and Tim Winton’s ‘Dirt Music’. Flanagan is also one of a select few of Tasmania’s Rhodes Scholars; alongside people such as former federal minister Neal Blewett and United Nations administrator John Gee. Landscape painter Geoffrey Dyer, who won the 2003 Archibald Prize for his portrait of Flanagan, describes him as ‘a local celebrity without trying to be one’ and ‘a breath of fresh air’. Flanagan’s greatest success came in 2002 when he was awarded the Commonwealth Writers’ Prize (Overall Winner and Best Book) for ‘Gould’s Book of Fish’. It was said to posses ‘a touch of genius’ by the judging panel. By his own admission Flanagan ‘has failed to control his persona; authorial, public or otherwise (Flanagan 2006)’ but there is no shortage of supporters for him and the issues he identifies with. When his article ‘Paradise lost – with napalm’ (The Guardian 21 April 2004) drew a vitriolic attack from the Tasmanian Forests minister, Bryan Green, there was an immediate response from several sections of the community. The Wilderness Society’s Geoff Law called the attack ‘an untrue character assassination’ and ‘breathtaking nonsense’. The Greens Opposition leader, Peg Putt MHA said that Flanagan’s concern ‘is indicative of the emotions sweeping Tasmania’ and classified him as ‘one of the great living Tasmanians’. And yet Flanagan has become unpopular with the local mainstream media for regularly chastising them for toadying to the State Government. He wears his heart on his sleeve and there appears to be a transparency between his writing, his public speaking and what must dwell in his soul. 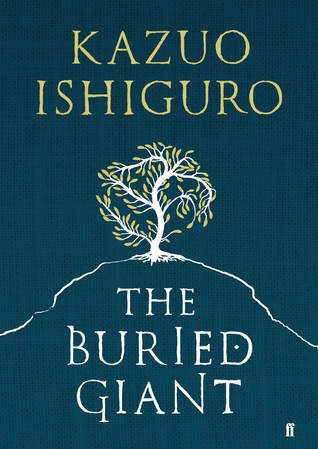 For instance when Forestry Tasmania became a sponsor of the ‘Ten Days on the Island’ readers and writers festival, Flanagan – alongside Peter Carey – withdrew his novel as an entry in the Tasmania Pacific Prize. He does not ‘seek causes out, [he] just get[s] caught up in things (Waldren)’. In difference to the accusations of spawning propaganda he appears to act despite his own agenda rather than to progress it. Flanagan has regularly written articles for the British newspaper ‘The Guardian’ and it is through this and other publications – outside Tasmania – that his opinions and rhetoric have gained their widest audiences. In addition to his articles exposing the illegal forestry practices and political corruption in Tasmania he has also written about the history and ongoing controversies surrounding Tasmania’s aboriginal population. In ‘Tasmanian Aboriginies: The Lost Tribe’ (The Guardian 14 October 2002) he questioned the processes by which a person’s aboriginality can be ascertained, and raised rumours about the in-fighting and ‘allegations of corruption and incompetence’ that have tarnished the reputation of the Tasmanian Aboriginal Centre (TAC). Although it is clear Flanagan wrote this article to highlight the plight of Tasmanian aboriginals he came under attack from the leader of the TAC for ‘exploit[ing]…an international audience who had no information to compare with his (Mansell 2002)’. Yet, even this attack was tempered with a description of Flanagan as normally ‘a progressive social writer (Mansell 2002)’. Although often criticised for going outside the state to highlight local issues, this practice has forced the local mainstream media to cover them – and even prompted a response in State Parliament. 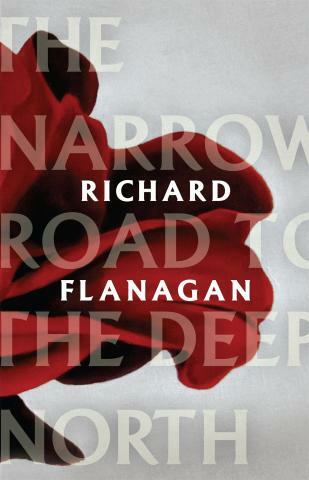 Flanagan is a fifth generation Tasmanian, descended from Irish convicts transported to Van Diemen’s Land and it is this place that reverberates like a quiet but ever present bass line through his first three novels. In writing fiction Flanagan believes that if you wish to ‘write something of worth you’ve got to go back within yourself [and] dredge your soul (Hugo 2005)’. Although he incorporates issues and events of Tasmania’s dark history in his fiction, his characters ‘don’t impose explanations or analysis (Waldren 1997)’. In a radio interview, recorded in September 1995, Flanagan discussed Tasmanian writing prior to 1970 and said that there was a ‘sense that Tasmania wasn’t a fit subject for literature (Wessman 1995)’. He explained: ‘Joyce never felt that awkwardness about calling Dublin, Dublin, or Dickens calling London, London’. 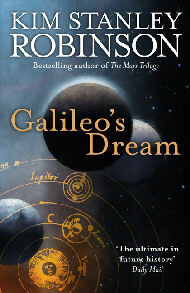 It appears from his writing – in his mind at least – Tasmania and he are symbiotic and it is from this relationship that his best writing emerges. Blindly adding ‘place’ can be a trap for writers of fiction – name dropping and the like. In contrast, the story in Flanagan’s fiction seems to transpire from this place and exist inside it – his stories could not occur in another place. Richard Flanagan describes himself as a Watermelon Green: Green on the outside, red on the inside. He puts this ‘down to bloodlines – Irish Catholic convict …rooted in the Northern Tasmanian Peasantry (Waldren 1997)’. The green campaigns of Lake Pedder and the Franklin River had a big effect on him. He describes their influence on Tasmania as ‘a prism through which the light of a century of despair and hope was refracted into this glorious rainbow (Waldren 1997)’. Although Flanagan publicly distanced himself – in his opening speech for the Launch of the Tasmanian Times – from either a particular political party or a specific green group, his writing clearly defines a leaning to the left and a concern with environmental issues. Flanagan considers good writing as a craft not an art. He is interested in things that work and enjoys working with a good editor who can point to things that are problematic or unclear. Moreover he says ‘you’d be foolish not to listen to them (Hugo 1995)’. He spends about four to five hours a day actually writing and compares his methods to that of Peter Carey. For instance he writes passages and then goes back to them, building them from a sentence to a paragraph, from a paragraph to a page, a page into a chapter – constantly growing and evolving (Hugo 1995). 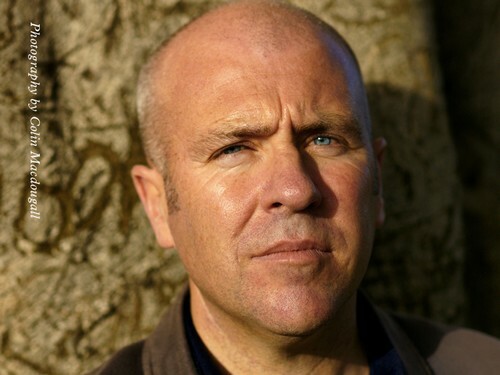 Richard Flanagan’s writing is synonymous with the environment and history of Tasmania. 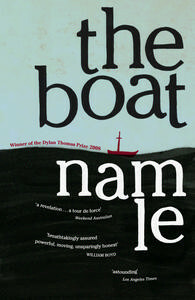 Through his novels he has received prestigious literary awards including the 2002 Commonwealth Writers Prize – leading to his high profile in both the arts and general community. Although he has acquired many supporters he has also had his detractors who accuse him of spawning propaganda. Despite that there is no consensus on a simple definition of propaganda, and the fact that the term is widely misused and misunderstood in the community, there are a few criteria that can be agreed upon. Firstly that it is designed to benefit the originator or their cause, and the secondly that there are either blatant untruths or it fails to provide all the truth. Contrary to benefiting his career and popularity with through this writing Flanagan has ‘invited the possibility of ostracism and unemployment (Law 2004)’ and suffered the wrath of the Tasmanian State government. He was told by Premier Paul Lennon that he and his writing were not welcome in the new Tasmania. Although his writing is always tinged with emotion and sometimes burns with an intense anger he encourages open debate and the free flow of information. Based on this evidence it is clear that Flanagan’s writing – either fiction or non-fiction – cannot be considered propaganda. Cone, S. 2003, The Idea of Propaganda: A Reconstruction. Journalism and Mass Communication Quarterly. Columbia: Autumn 2003. Vol.80, Iss. 3; pg. 747. http://www.proquest.com/ (accessed October 2006). 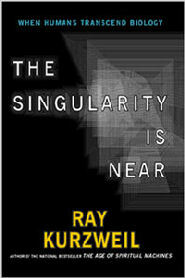 Flanagan, R. 2002, “The Lost Tribe”, The Guardian, October 14, 2002, retrieved September 2006. Flanagan, R. 2004, “Paradise lost – with napalm”, The Guardian, April 21, 2004, retrieved September 2006. Flanagan, R. 2006, email, 21 September 2006, (email address withheld). Hugo, G. 2005, Interview with Richard Flanagan. The Write Stuff. Hobart: 1995. 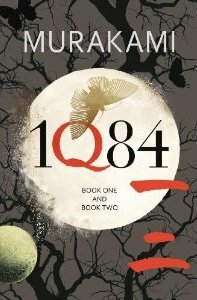 Vol.1 Book reviews: Interviews with Writers. 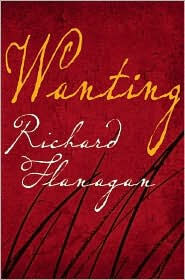 http://www.the-write-stuff.com.au/archives/vol-1/interviews/flanagan.html (accessed September 2006). Law, G. 2004, Press Release: Lennon’s character assassination of Flanagan diverts from the real issue. Hobart: 23 July 2004. The Wilderness Society. http://www.wilderness.org.au/campaigns/forests/tasmania/Tas_suffers04/ (accessed September 2006). Mansell, M. 2002, Press Release: Tasmania – Australia’s Answer to America’s Deep South, Hobart. 21 October 2002. Tasmanian Aboriginal Centre. http://www.eniar.org/news/Flanagan.html (accessed September 2006). Waldren, M. 1997, “Many Hands Clapping – An Interview with Richard Flanagan”, The Weekend Australian, 1997. Welch, D. 1999, Powers of Persuasion. History Today. London: August 1999. Vol.49, Iss. 8; pg. 24, 3 pgs. http://www.proquest.com/ (accessed October 2006). Wessman, R. 1995, Conversations: and interview with Pete Hay & Richard Flanagan. Hobart: 29 September 1995. http://members.optusnet.com.au/~waldrenm/flanagan.html (accessed October 2006). This entry was posted in Life, Nationalism, Philosophy, Quotes, Reviews, Writing and tagged Flanagan, history, Propaganda, Propagandist, QUT, Tasmania, Writing. Bookmark the permalink.